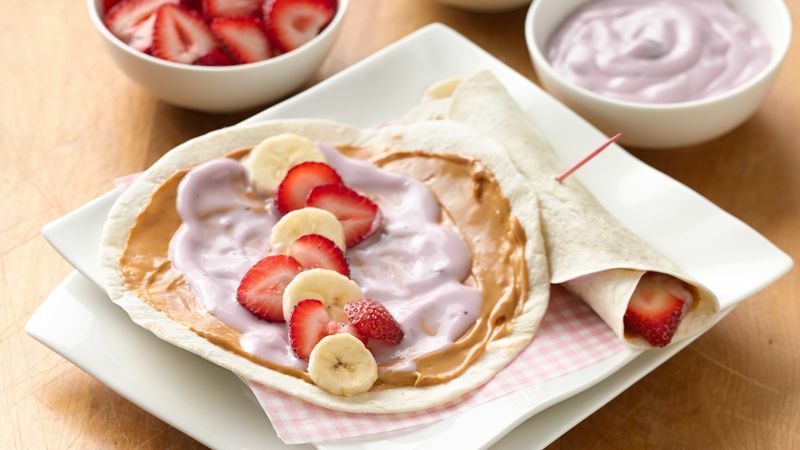 Spread 1 tablespoon peanut butter and 1 tablespoon yogurt evenly over each tortilla. Top with strawberry and banana slices. Roll up tortillas. Secure with toothpicks. Serve remaining yogurt on the side for dipping. To keep sliced bananas from turning brown, just dip into lemon or orange juice before assembling wraps. Not a fan of peanut butter? Use a fruit-flavored cream cheese instead for a tasty treat.